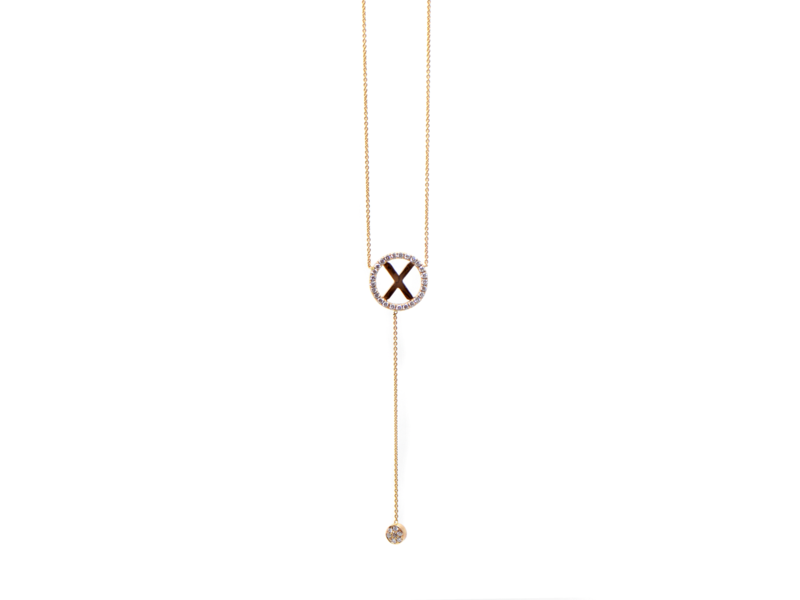 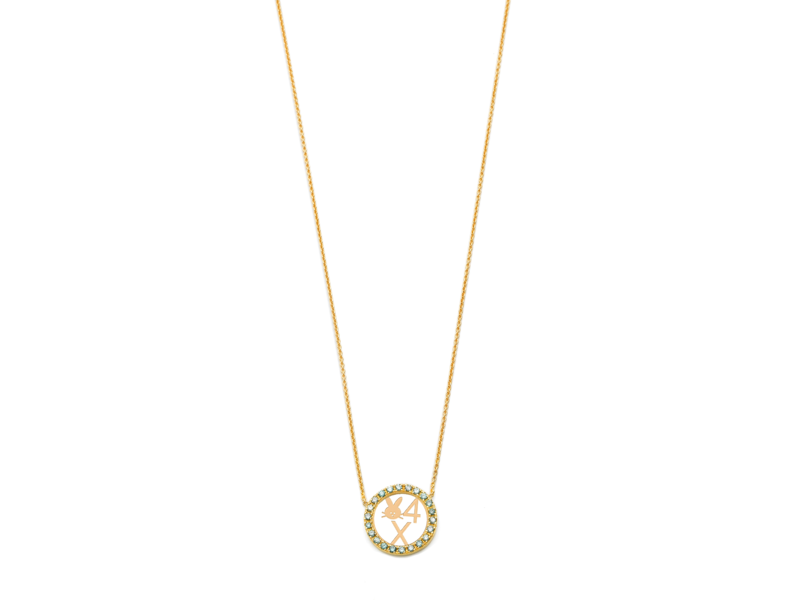 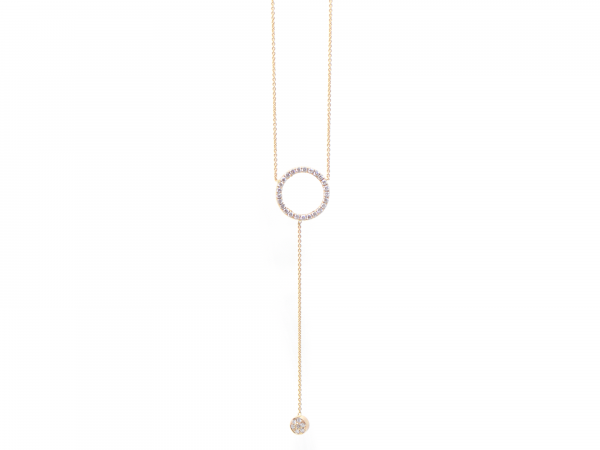 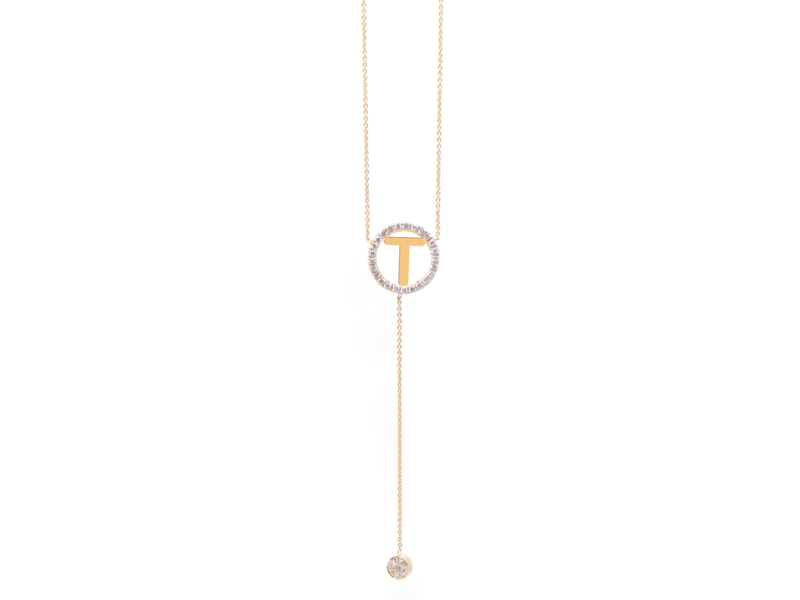 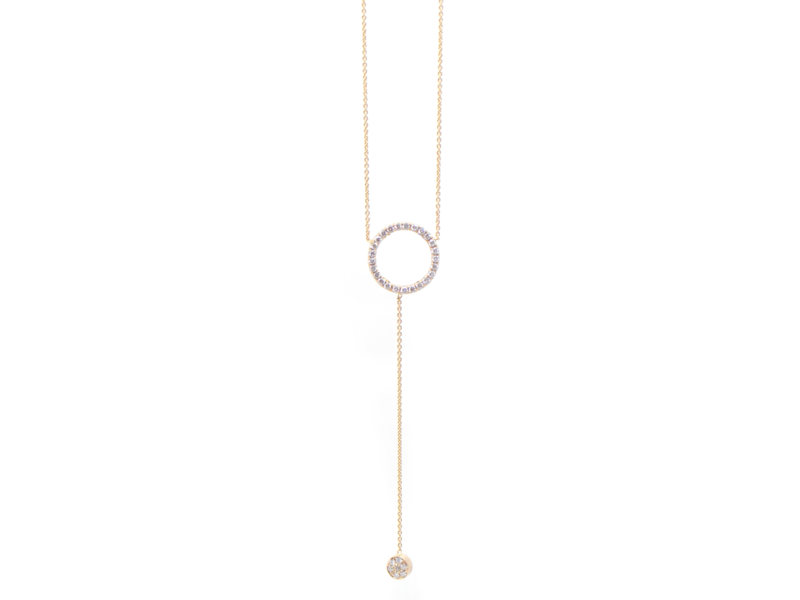 This simple yet gorgeous necklace features a solid 18 karat gold Circle 0.15ct pave set with a choice of diamonds(+€90.- VS1-S1 en D-F pave diamonds), black diamonds, blue sapphires, brown cognac diamonds, red rubies and green diamonds “Embraced” by three Initials or Symbols of your choice with a reflective finish. 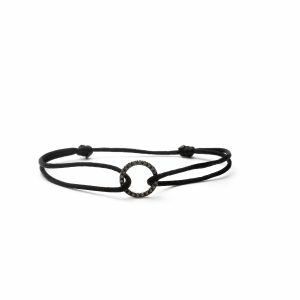 The charm measures 1 cm wide and is 1.5mm deep. 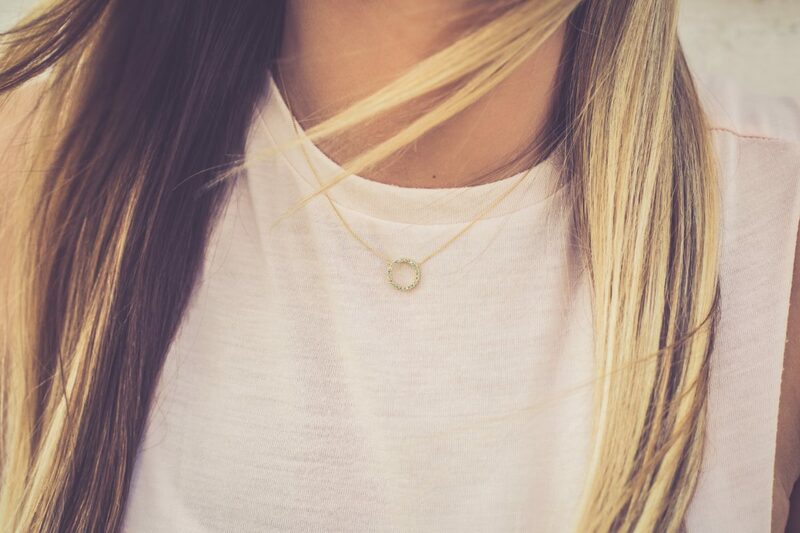 The circle is attached solid to the necklace.